Fructus Psoraleae is the seed of Psoralea corylifolia Linn. It is the main ingredient of the herbal mixtures such as Qubaibabuqi, popular in China, India and other countries. It has been used for medicinal purposes for millennia. Thus many proponents would claim that it must be risk-free. A recent case-report suggests that it might not be as safe as often assumed. A 53-year-old woman was diagnosed with vitiligo in September 2017 and was treated with oral Qubaibabuqi tablets (15 tablets three times daily; Xinjiang Yinduolan Uyghur Pharmaceutical Company Limited, Urumqi, China), 10 mg of prednisone acetate tablets (Xinhua Pharmaceutical Company Limited, Zibo, China) once daily, and narrowband-ultraviolet B (NB-UVB) phototherapy (Sigma household narrowband-ultraviolet phototherapy instrument [SS-01B] pocket portable; Shanghai Sigma High Technology Co., Ltd. Shanghai, China) every other day. The prednisone acetate tablets were self-discontinued 3 months later; however, she continued to take Qubaibabuqi tablets orally and NB-UVB phototherapy was undertaken at home. After approximately 7 months of treatment, the patient developed a severe, diffuse yellow staining of the skin and sclera in March 2018. On admission, she was diagnosed with acute cholestatic hepatitis associated with Fructus Psoraleae. Despite receiving active treatment, her condition rapidly deteriorated and she died 5 days later due to acute liver failure and multiple organ dysfunction. There are 6 further reported cases of liver injury associated with Fructus Psoraleae described in the English language literature. Cases of acute liver failure associated with the use of Fructus Psoraleae have not been previously described. The authors of the case-report concluded that as a main ingredient in the Qubaibabuqi tablet formula, Fructus Psoraleae has potential hepatotoxicity. This potentially fatal adverse effect should be considered when physicians prescribe Qubaibabuqi tablets. Psoralea corylifolia Linn (also known as Bu-gu-zh, Bu Ku Zi, Bol-gol-zhee, Boh-Gol-Zhee, Babchi, and Bakuchi) is a plant grown in China, India, Sri Lanka, Burma, and other countries, which is considered an important herbal medicine. It is used in TCM to tonify the kidneys, particularly kidney yang and essence. It is used for helping the healing of bone fractures, for lower back and knee pain, impotence, bed wetting, hair loss, and vitiligo. A recent review named it as one of the main herbs causing liver problems (other herbs included Polygonum multiflorum, Corydalis yanhusuo, and Rheum officinale). Another review found that Psoralea corylifolia has cardiotonic, vasodilator, pigmentor, antitumor, antibacterial, cytotoxic, and anti-helminthic properties. About one hundred bioactive compounds have been isolated from seeds and fruits; the most important ones belong to coumarins, flavonoids, and meroterpenes groups. 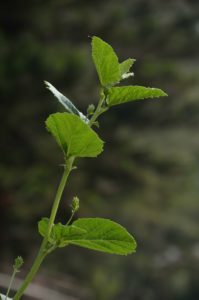 Psoralea corylifolia is part of many Ayurvedic and Chinese herbal mixtures. Despite of the popularity of Psoralea corylifolia in the treatment of a very wide range of conditions, and despite the pharmacological studies into its potential therapeutic uses, there is an almost complete void as to clinical trials testing its clinical effectiveness. The case-report is a poignant and tragic reminder of the often-neglected fact that neither a long history of usage nor popularity of a (herbal) treatment are reliable indicators for safety. Homeopathy for sleep bruxism? In your dreams! The present trial evaluated the efficacy of homeopathic medicines of Melissa officinalis (MO), Phytolacca decandra (PD), and the combination of both in the treatment of possible sleep bruxism (SB) in children (grinding teeth during sleep). Patients (n = 52) (6.62 ± 1.79 years old) were selected based on the parents report of SB. The study comprised a crossover design that included 4 phases of 30-day treatments (Placebo; MO 12c; PD 12c; and MO 12c + PD 12c), with a wash-out period of 15 days between treatments. At baseline and after each phase, the Visual Analogic Scale (VAS) was used as the primary outcome measure to evaluate the influence of treatments on the reduction of SB. The following additional outcome measures were used: a children’s sleep diary with parent’s/guardian’s perceptions of their children’s sleep quality, the trait of anxiety scale (TAS) to identify changes in children’s anxiety profile, and side effects reports. Data were analyzed by ANOVA with repeated measures followed by Post Hoc LSD test. Significant reduction of SB was observed in VAS after the use of Placebo (-1.72 ± 0.29), MO (-2.36 ± 0.36), PD (-1.44 ± 0.28) and MO + PD (-2.21 ± 0.30) compared to baseline (4.91 ± 1.87). MO showed better results compared to PD (p = 0.018) and Placebo (p = 0.050), and similar result compared to MO+PD (p = 0.724). The sleep diary results and TAS results were not influenced by any of the treatments. No side effects were observed after treatments. The authors concluded that MO showed promising results in the treatment of possible sleep bruxism in children, while the association of PD did not improve MO results. Why was it submitted and then published in the journal ‘Phytotherapy’. All the remedies were given as C12 potencies. This has nothing to do with phytomedicine. Why was a cross-over design chosen? According to homeopathic theory, a homeopathic treatment has fundamental, long-term effects which last much longer than the wash-out periods between treatment phases. This effectively rules out such a design as a means of testing homeopathy. MO is used in phytomedicine to induce sleep and reduce anxiety. According to the homeopathic ‘like cures like’ assumption, this would mean it ought to be used homeopathically to treat sleepiness or for keeping patients awake or for making them anxious. How can it be used for sleep bruxism? Considering all this, I ask myself: should we trust this study and its findings? ‘Most of the supplement market is bogus’, but surely not the world’s 1st super-supplement! “Most of the supplement market is bogus,” Paul Clayton*, a nutritional scientist, told the Observer. “It’s not a good model when you have businesses selling products they don’t understand and cannot be proven to be effective in clinical trials. It has encouraged the development of a lot of products that have no other value than placebo – not to knock placebo, but I want more than hype and hope.” So, Dr Clayton took a job advising Lyma, a product which is currently being promoted as “the world’s first super supplement” at £199 for a one-month’s supply. Apparently, these ingredients are manufactured in special (and patented) ways to optimise their bioavailabity. According to the website, the ingredients of LYMA have all been clinically trialled with proven efficacy at levels provided within the LYMA supplement… Unless the ingredient has been clinically trialled, and peer reviewed there may be limited (if any) benefit to the body. LYMA’s revolutionary formulation is the most advanced and proven super supplement in the world, bringing together eight outstanding ingredients – seven of which are patented – to support health, wellbeing and beauty. Each ingredient has been selected for its efficacy, purity, quality, bioavailability, stability and ultimately, on the results of clinical studies. it will improve osteoporosis (reduce risk of osteoporosis by 37%). These claims are backed up by 197 clinical trials, we are being told. If true, this would be truly sensational – but is it true? I asked the Lyma firm for the 197 original studies, and they very kindly sent me dozens papers which all referred to the single ingredients listed above. I emailed again and asked whether there are any studies of Lyma with all its ingredients in one supplement. Then I was told that they are ‘looking into a trial on the final Lyma formula‘. I take this to mean that not a single trial of Lyma has been conducted. In this case, how do we be sure the mixture works? How can we know that the 197 studies have not been cherry-picked? How can we be sure that there are no interactions between the active constituents? It’s kind, to leave the choice to us, rather than forcing us to spend £199 each month on the world’s first super-supplement. Very kind indeed! Having the choice, I might think again. Aloe vera (it has over 3 000 Medline listed articles to its name). I could then claim that my extra super-supplement is supported by some 300 000 scientific articles plus 1 000 clinical studies (I am confident I could cherry-pick 1 000 positive trials from the 300 000 papers). Consequently, I would not just charge £199 but £999 for a month’s supply. But this would be wrong, misleading, even bogus!! !, I hear you object. On the one hand, I agree. On the other hand, as Paul Clayton rightly pointed out: Most of the supplement market is bogus. *If my memory serves me right, I met Paul many years ago when he was a consultant for Boots (if my memory fails me, I might need to order some Lyma). The real loser in open battles between warring factions in healthcare could be the consumer. Imagine how schizophrenic you could become after reading any one of the many newspapers that contains both pro-natural therapy articles and stinging attacks like that found in this week’s Daily Mail. But then again, we may misjudge the consumer who is well known for his or her ability to vote with the feet—regardless. The consumer, just like Robert Sandall, and the millions around the world who continue to indulge in complementary therapies, will ultimately make choices that work for them. ‘Survival of the fittest’ could provide an explanation for why hostile attacks from the orthodox medical community, the media and over-zealous regulators have not dented the steady increase in the popularity of alternative medicine. Although we live in a technocratic age where we’ve handed so much decision making to the specialists, perhaps this is one area where the might of the individual will reign. Maybe the disillusionment many feel for pharmaceutically-biased healthcare is beginning to kick in. Perhaps the dictates from the white coats will be overruled by the ever-powerful survival instinct and our need to stay in touch with nature, from which we’ve evolved. Elsewhere, Robert Verkerk even called me the ‘master trickster of evidence-based medicine’ and stated that Prof Ernst and his colleagues appear to be evaluating the ‘wrong’ variable. As Ernst himself admitted, his team are focused on exploring only one of the variables, the ‘specific therapeutic effect’ (Figs 1 and 2). It is apparent, however, that the outcome that is of much greater consequence to healthcare is the combined effect of all variables, referred to by Ernst as the ‘total effect’ (Fig 1). Ernst does not appear to acknowledge that the sum of these effects might differ greatly between experimental and non-experimental situations. Adding insult to injury, Ernst’s next major apparent faux pas involves his interpretation, or misinterpretation, of results. These fundamental problems exist within a very significant body of Prof Ernst’s work, particularly that which has been most widely publicised because it is so antagonistic towards healing cultures that have in many cases existed and evolved over thousands of years. By example, a recent ‘systematic review’ of individualised herbal medicine undertaken by Ernst and colleagues started with 1345 peer-reviewed studies. However, all but three (0.2%) of the studies (RCTs) were rejected. These three RCTs in turn each involved very specific types of herbal treatment, targeting patients with IBS, knee osteoarthritis and cancer, the latter also undergoing chemotherapy, respectively. The conclusions of the study, which fuelled negative media worldwide, disconcertingly extended well beyond the remit of the study or its results. An extract follows: “Individualised herbal medicine, as practised in European medical herbalism, Chinese herbal medicine and Ayurvedic herbal medicine, has a very sparse evidence base and there is no convincing evidence that it is effective in any [our emphasis] indication. Because of the high potential for adverse events and negative herb-herb and herb-drug interactions, this lack of evidence for effectiveness means that its use cannot be recommended (Postgrad Med J 2007; 83: 633-637). This position paper proposes a universal framework, based on ecological and sustainability principles, aimed at allowing qualified health professionals (1), regardless of their respective modalities (disciplines), to work collaboratively and with full participation of the public in efforts to maintain or regenerate health and wellbeing. Accordingly, rather than offering ‘fixes’ for the NHS, the paper offers an approach that may significantly reduce the NHS’s current and growing disease burden that is set to reach crisis point given current levels of demand and funding. A major factor driving the relentlessly rising costs of the NHS is its over-reliance on pharmaceuticals (2) to treat a variety of preventable, chronic disorders. These (3) are the result — not of infection or trauma — but rather of our 21st century lifestyles, to which the human body is not well adapted. The failure of pharmaceutically-based approaches to slow down, let alone reverse, the dual burden of obesity and type 2 diabetes means wider roll-out of effective multi-factorial approaches are desperately needed (4). The NHS was created at a time when infectious diseases were the biggest killers (5). This is no longer the case, which is why the NHS must become part of a wider system that facilitates health regeneration or maintenance. The paper describes the major mechanisms underlying these chronic metabolic diseases, which are claiming an increasingly large portion of NHS funding. It identifies 12 domains of human health, many of which are routinely thrown out of balance by our contemporary lifestyles. The most effective way of treating lifestyle disorders is with appropriate lifestyle changes that are tailored to individuals, their needs and their circumstances. Such approaches, if appropriately supported and guided, tend to be far more economical and more sustainable as a means of maintaining or restoring people’s health (6). A sustainable health system, as proposed in this position paper, is one in which the individual becomes much more responsible for maintaining his or her own health and where more effort is invested earlier in an individual’s life prior to the downstream manifestation of chronic, degenerative and preventable diseases (7). Substantially more education, support and guidance than is typically available in the NHS today will need to be provided by health professionals (1), informed as necessary by a range of markers and diagnostic techniques (8). Healthy dietary and lifestyle choices and behaviours (9) are most effective when imparted early, prior to symptoms of chronic diseases becoming evident and before additional diseases or disorders (comorbidities) have become deeply embedded. The timing of the position paper’s release coincides not only with a time when the NHS is in crisis, but also when the UK is deep in negotiations over its extraction from the European Union (EU). The paper includes the identification of EU laws that are incompatible with sustainable health systems, that the UK would do well to reject when the time comes to re-consider the British statute books following the implementation of the Great Repeal Bill (10). This paper represents the first comprehensive attempt to apply sustainability principles to the management of human health in the context of our current understanding of human biology and ecology, tailored specifically to the UK’s unique situation. It embodies approaches that work with, rather than against, nature (11). Sustainability principles have already been applied successfully to other sectors such as energy, construction and agriculture. It is now imperative that the diverse range of interests and specialisms (12) involved in the management of human health come together. We owe it to future generations to work together urgently, earnestly and cooperatively to develop and thoroughly evaluate new ways of managing and creating health in our society. This blueprint represents a collaborative effort to give this process much needed momentum. I fear that this is meant to include SCAM-practitioners who are neither qualified nor skilled to tackle such tasks. Dietary supplements (heavily promoted by the ANH) either have pharmacological effects, in which case they too must be seen as pharmaceuticals, or they are useless, in which case we should not promote them. I think ‘some of these’ would be more correct. Multifactorial yes, but we must make sure that useless SCAMs are not being pushed in through the back-door. Quackery must not be allowed to become a ‘factor’. Only, if we discount cancer and arteriosclerosis, I think. SCAM-practitioners have repeatedly demonstrated to be a risk to public health. All we know about disease prevention originates from conventional medicine and nothing from SCAM. Informed by…??? I would prefer ‘based on evidence’ (evidence being one term that the report does not seem to be fond of). All healthy dietary and lifestyle choices and behaviours that are backed by good evidence originate from and are part of conventional medicine, not SCAM. Do I detect the nasty whiff a pro-Brexit attitude her? I wonder what the ANH hopes for in a post-Brexit UK. The old chestnut of conventional medicine = unnatural and SCAM = natural is being warmed up here, it seems to me. Fallacy galore! The ANH would probably like to include a few SCAM-practitioners here. Call me suspicious, but to me this ANH-initiative seems like a clever smoke-screen behind which they hope to sell their useless dietary supplements and homeopathic remedies to the unsuspecting British public. Am I mistaken? Ginger: 10,000 times more effective at killing cancer cells than conventional drugs? Let’s say that your doctor has given you a cancer diagnosis. Let’s revisit animal wisdom. If a squirrel was looking over a tasty morsel of ginger on one side, or a vial full of Mehotrexate, Danorubicin or Tioguanine on the other, what would that intelligent squirrel choose? The answer is obvious. And it’s the right answer, because ginger roots, after being dried and cooked, manifest an ingredient called 6-shogaol. A study examining the efficacy of ginger, as an adjuvant drug to standard antiemetic therapy, in ameliorating acute and delayed CINV in patients with lung cancer receiving cisplatin-based regimens. It concluded that as an adjuvant drug to standard antiemetic therapy, ginger had no additional efficacy in ameliorating CINV in patients with lung cancer receiving cisplatin-based regimens. A randomized, double-blind, placebo-controlled, multicenter study in patients planned to receive ≥2 chemotherapy cycles with high dose (>50 mg/m2) cisplatin. Patients received ginger 160 mg/day (with standardized dose of bioactive compounds) or placebo in addition to the standard antiemetic prophylaxis for CINV, starting from the day after cisplatin administration. The authors found that in patients treated with high-dose cisplatin, the daily addition of ginger, even if safe, did not result in a protective effect on CINV. And this means the above-quoted article irresponsible, unethical, perhaps even criminal to the extreme. I shudder to think how many cancer patients have read it and consequently given up their conventional treatments opting for Ginger instead. The DAILY MAIL is by no means my favourite paper (see, for instance, here, here and here). This week, the Mail published another article which, I thought, is worth mentioning. The Mail apparently asked several UK doctors which dietary supplements they use for their own health (no mention of the number they had to approach to find any fitting into this category). The results remind me of a statement by the Permanent Secretary, Sir Humphrey Appleby in the famous TV series YES MINISTER: “if nobody knows anything then nobody can accuse anybody else of knowing nothing, and so the one thing we do know is that nobody knows anything, and that’s better than us knowing nothing”. Below, I present the relevant quotes by the doctors who volunteered to be interviewed and add the most up-to date evidence on each subject. Professor Christopher Eden, 57, is a consultant urological surgeon at the Royal Surrey County Hospital in Guildford. Ascorbic acid (vitamin C) cannot be recommended for the prevention of urinary tract infections. Louise Newson, 48, is a GP and menopause specialist based in Stratford-upon-Avon. For … probiotics, prebiotics, acupuncture, homeopathy and DHEA-S, randomized, placebo-controlled trials are scarce and the evidence is unconvincing. Professor Tony Kochhar, 45, is a consultant orthopaedic surgeon at London Bridge Hospital. … it is not possible to draw any definitive raccomendations on the use of nutraceutical supplementation in tendinopathies. Dr Anne Rigg, 51, is a consultant oncologist at London Bridge Hospital. Dr Rob Hogan, 62, is an optometrist at iCare Consulting. In early AMD, macular pigment can be augmented with a variety of supplements, although the inclusion of MZ may confer benefits in terms of panprofile augmentation and in terms of contrast sensitivity enhancement. Dr Milad Shadrooh, 37, is a dentist in Basingstoke, Hampshire. … calcium … supplements that are used to prevent or treat osteoporosis appear to have beneficial effects on tooth retention as well. Dr Joanna Gach, 49, is a consultant dermatologist at University Hospitals Coventry and Warwickshire NHS Trust. … no evidence supports the use of vitamin supplementation with vitamin E, vitamin C (ascorbic acid), vitamin A, retinoids, retinol, retinal, silicon, zinc, iron, copper, selenium, or vitamin B12 (Cyanocobalamin) for improving the nail health of well-nourished patients or improving the appearance of nails affected by pathologic disease. Luke Cascarini, 47, is a consultant maxillofacial surgeon at Guy’s and St Thomas’ Hospital in London. The published research reveals only a possible relationship between vitamins and minerals and periodontal disease. Vitamin E, zinc, lycopene and vitamin B complex may have useful adjunct benefits. However, there is inadequate evidence to link the nutritional status of the host to periodontal inflammation. More randomized controlled trials are needed to explore this association. Dr Jenni Byrom, 44, is a consultant gynaecologist at Birmingham’s Women’s and Children’s Hospital. Evening primrose oil has not been shown to improve breast pain, and has had its licence withdrawn for this indication in the UK owing to lack of efficacy (it is still available to purchase without prescription). Dr Sarah Myhill, 60, is a GP based in Wales. … vitamin C has minimal or no impact on the duration of common cold or in the number of days at home or out of work. Jonathan Dearing, 49, is a consultant orthopaedic surgeon specialising in sports injuries at BMI Carrick Glen Hospital in Ayrshire. … supraphysiological dosages of vitamin D3 have potential ergogenic effects on the human metabolic system and lead to multiple physiological enhancements. These dosages could increase aerobic capacity, muscle growth, force and power production, and a decreased recovery time from exercise. These dosages could also improve bone density. However, both deficiency (12.5 to 50 nmol/L) and high levels of vitamin D (>125 nmol/L) can have negative side effects, with the potential for an increased mortality. Thus, maintenance of optimal serum levels between 75 to 100 nmol/L and ensuring adequate amounts of other essential nutrients including vitamin K are consumed, is key to health and performance. Coaches, medical practitioners, and athletic personnel should recommend their patients and athletes to have their plasma 25(OH)D measured, in order to determine if supplementation is needed. Based on the research presented on recovery, force and power production, 4000-5000 IU/day of vitamin D3 in conjunction with a mixture of 50 mcg/day to 1000 mcg/day of vitamin K1 and K2 seems to be a safe dose and has the potential to aid athletic performance. Lastly, no study in the athletic population has increased serum 25(OH)D levels past 100 nmol/L, (the optimal range for skeletal muscle function) using doses of 1000 to 5000 IU/day. Thus, future studies should test the physiological effects of higher dosages (5000 IU to 10,000 IU/day or more) of vitamin D3 in combination with varying dosages of vitamin K1 and vitamin K2 in the athletic population to determine optimal dosages needed to maximize performance. Dr Glyn Thomas, 46, is a cardiologist and cardiac electrophysiologist at the Bristol Heart Institute. Whether magnesium supplementation could have a role in the prevention of AF in the community has not been tested. I say ‘MIGHT HAVE GOT IT RIGHT’ because, even in their cases, the evidence is far from strong and certainly not convincing. Secondly, let me commiserate those who spend their money on unproven supplements. I find it sad that this group amounts to two thirds of all the ‘experts’ asked. Thirdly, let me remind THE DAILY MAIL of what I posted recently: journalists to be conscious of their responsibility not to mislead the public and do more rigorous research before reporting on matters of health. Surely, the Mail did us no favour in publishing this article. It will undoubtedly motivate lots of gullible consumers to buy useless or even harmful supplements. And lastly, let me remind all healthcare professionals that promoting unproven treatments to the unsuspecting public is not ethical. Herbal medicines for the induction of labor? No, definitely not! I regularly scan the new publications in alternative medicine hoping that I find some good quality research. And sometimes I do! In such happy moments, I write a post and make sure that I stress the high standard of a paper. Sadly, such events are rare. Usually, my searches locate a multitude of deplorably poor papers. Most of the time, I ignore them. Sometime, I do write about exemplarily bad science, and often I report about articles that are not just bad but dangerous as well. The following paper falls into this category, I fear. The aim of this systematic review was to assess the efficacy and safety of herbal medicines for the induction of labor (IOL). The researchers considered experimental and non-experimental studies that compared relevant pregnancy outcomes between users and non-user of herbal medicines for IOL. A total of 1421 papers were identified and 10 studies, including 5 RCTs met the authors’ inclusion criteria. Papers not published in English were not considered. Three trials were conducted in Iran, two in the USA and one each in South Africa, Israel, Thailand, Australia and Italy. The quality of the included trial, even of the 5 RCTs, was poor. The results suggest, according to the authors of this paper, that users of herbal medicine – raspberry leaf and castor oil – for IOL were significantly more likely to give birth within 24 hours than non-users. No significant difference in the incidence of caesarean section, assisted vaginal delivery, haemorrhage, meconium-stained liquor and admission to nursery was found between users and non-users of herbal medicines for IOL. The authors concluded that the findings suggest that herbal medicines for IOL are effective, but there is inconclusive evidence of safety due to lack of good quality data. Thus, the use of herbal medicines for IOL should be avoided until safety issues are clarified. More studies are recommended to establish the safety of herbal medicines. As I stated above, I am not convinced that this review is any good. It included all sorts of study designs and dismissed papers that were not in English. Surely this approach can only generate a distorted or partial picture. The risks of herbal remedies for mother and baby are not well investigated. In view of the fact that even the 5 RCTs were of poor quality, the first sentence of this conclusion seems most inappropriate. On the basis of the evidence presented, I feel compelled to urge pregnant women NOT to consent to accept herbal remedies for IOL. And on the basis of the fact that far too many papers on alternative medicine that emerge every day are not just poor quality but also dangerously mislead the public, I urge publishers, editors, peer-reviewers and researchers to pause and remember that they all have a responsibility. This nonsense has been going on for long enough; it is high time to stop it.